Some two decades may have separated President Gen. Zia ul Haq and President Gen. Pervaiz Musharraf’s military rule in Pakistan, but they had one person in common – Benazir Bhutto. The twice-elected woman prime minister of Pakistan took on both military rulers, one by one, with a promise to take the nation from dictatorship into democracy. Ironically, on both occasions – 1988 and 2007 – Benazir went to Pakistan with a commitment from officials in Washington at a time when the US needed Pakistan to achieve its strategic objectives in Afghanistan. 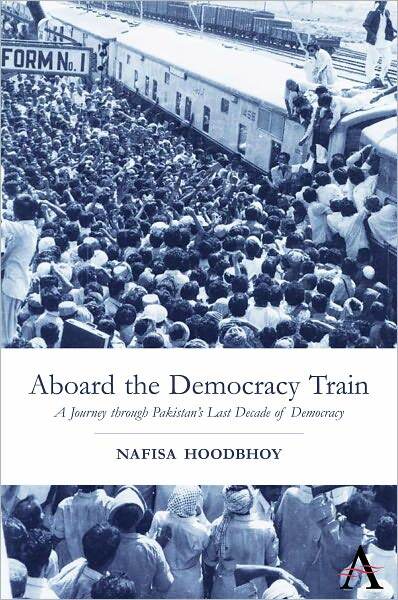 Never mind the fact that millions of people were ready to vote for her, realpolitik demanded that the road to Islamabad be traveled not through the dusty villages of Pakistan but through the power corridors of Washington DC. 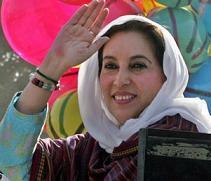 Benazir made the sales pitch to Washington at a time when its “blue eyed boy,” Gen. Pervaiz Musharraf – who then wore two hats as chief of army staff and president – prosecuted President George W. Bush’s “War on Terror.” Western pressure on Musharraf to relax his chokehold on politicians had led to the release of Benazir’s husband Asif Zardari in 2004. Pakistan’s former woman prime minister followed it up with a visit to the US capital to test the waters for her return to power. Asif, who underwent medical treatment while he lived in an apartment in New York, joined Benazir after the speech. High-spirited and cheery, he flashed his familiar grin as he met expatriates. Out of Benazir’s earshot and away from the public milieu, I asked him with an informality that came from long years of acquaintanceship. “Of course, it is after all the world’s only super power,” he shot back. We had the conversation at PPP senator, Khawaja Akbar’s home in Virginia after Benazir had sent word to me to join their private gathering. After her speech, I had walked to the stage where she signed autographs for a bevy of admirers. It had been more than a decade since I came face to face with Benazir. Still, her look of genuine surprise at seeing me in the US – as opposed to familiar surroundings in Pakistan – came with a warm response. “Wait, I want to see you,” she said. Minutes later, she had sent her senator to my table with a message to follow her small entourage to his Virginia home. It was an occasion to have a close sitting with Benazir and Asif, away from the public glare and in a small homely setting. Benazir looked different without her head cover, with shoulder-length light brown hair and a heavier physique, but she still had the same twinkling eyes that reflected her deep self-assurance. She picked my brains on a drone missile attack that had then occurred in Damadola in Bajaur tribal agency. I told her that it did not appear so, and that there were contradictory statements about the incident in the US newspapers as well. Benazir had read with interest the Washington Post’s editorial, which cast aspersions on Gen. Musharraf’s role in the “War on Terror” and questioned the effectiveness of keeping him as an ally. As early as 2006, the US media’s critical comments that Musharraf could be engaged in double dealing with the West had obviously presented itself to her as an opportunity. At that juncture, Benazir’s relationship with Musharraf was one of spy versus spy as both seasoned politicians – one civilian and the other military – worked to outfox each other. While Benazir gathered information on how Musharraf fared in the US, his administration followed her activities in Washington, DC with eagle eyes. Only a few weeks earlier, Interpol had issued a red alert against Benazir and Asif on money laundering charges. Musharraf had shifted the responsibility of the alert on the National Accountability Bureau (NAB), allegedly set up to fight corruption among public officials and politicians. At the home of the PPP senator, Benazir waxed casual as I reminded her of the Interpol alert. She began to ask party leaders about individuals in Pakistan’s establishment who might have been responsible for issuing the red alert against herself and Asif. “Can you believe it, they are equating me with terrorists like Ayman Al Zawahiri,” she turned to me with a twinkle in her eyes. Now on a one-to-one level, he volunteered to explain that he had been released from prison without striking a back room deal with Musharraf. “You never thought I would get out of prison did you,” he chuckled. To my surprise, Benazir talked of her erstwhile rival, former Prime Minister Nawaz Sharif, with camaraderie. It was a far cry from the Benazir I knew in Pakistan’s last decade of civilian rule, when the two former prime ministers were bitter rivals and worked at cross-purposes. Instead, a year ago, Benazir Bhutto and Nawaz Sharif had come together in London to frame a “Charter of Democracy” that promised to force Musharraf to hold “free and fair” elections and enact constitutional reforms. Long years of exile suffered by Nawaz and Benazir under Musharraf had convinced the ousted prime ministers to agree on a charter that would prevent military rulers from overthrowing elected leaders like themselves. In London, the politicians did the spade work for the constitutional package, passed by the Zardari government in April 2010, which undid the constitutional amendments passed by two former military rulers – Gen. Zia ul Haq and Gen. Pervaiz Musharraf – and curtailed the power of the president. The “Eighteenth Amendment,” as it is called, has been largely welcomed in Pakistan, even while some sections have been challenged in the Supreme Court. More western savvy than Nawaz, Benazir had, after 9/11, correctly surmised Pakistan’s importance for the US. Although President Bush had developed a one-on-one relationship with Musharraf, American voters were growing disillusioned with a sagging economy and a seemingly unending war in Afghanistan. Taking advantage of the swing of voters toward the Democratic Party, Benazir put her foot in the door and worked to prize it open for her reentry to power. A senior journalist seated at our small table suggested to Benazir that her goals may be better served if she moved from Dubai to the US. Benazir demurred, not just because it would make her US connections far too obvious, but because she said she was concerned about the education of her children enrolled in Dubai’s schools. Instead, Benazir went on to work with Democratic members of the US Congress to broker the National Reconciliation Ordinance (NRO) deal with Musharraf, which granted amnesty for herself, husband Asif Zardari and thousands of other politicians and businessmen accused of corruption. PPP sympathizers say it was Benazir’s way of ensuring that the “politically fabricated” cases did not stand in her path to return to Pakistan. Among those who got former President Musharraf to sign the National Reconciliation Ordinance was Democratic Senator John Kerry. Kerry’s advisor Shahid Ahmed Khan accompanied Benazir and Kerry to the office of Tom Lantos. The latter, a Jewish Holocaust survivor, knew Musharraf in his capacity as the head of the House Foreign Affairs Committee. Afterwards, Khan said that Senator Kerry told him that he had talked briefly with US Under Secretary of State for Political Affairs, R. Nicholas Burns, to ask that he telephone Musharraf to ensure security arrangements for Benazir’s return. Khan said that Senator Kerry subsequently asked the Republican administration’s US Secretary of State Condoleeza Rice to ensure that Benazir was provided with proper security while she was in Pakistan. In 2007 Benazir met President Gen. Musharraf twice in Dubai to work out her quid pro quo arrangement with him. It culminated on October 4, 2007 with Musharraf’s signature on the National Reconciliation Ordinance – which paved the way for Benazir, Asif and several party officials to return to Pakistan. Two days later, as Gen. Musharraf presented himself for presidential reelection, the PPP members permitted him a façade of legitimacy by remaining in parliament while other political parties boycotted the vote. She dropped her gaze still further and became still. It would be many seconds before she turned to me and we rejoined the rest of the group. Perhaps she knew that this would be her last battle. This entry was posted in 9/11, Excerpts. Bookmark the permalink. If the situation turns into a full-blown civil-war-anarchy situation, will India do a preemptive strike (using their own nukes) to take out Pakistan’s arsenal? Very good tips! I have been browsing for something similar to this for a while now. With thanks!